Ampersand Families strives to be the employer of choice for extraordinary professionals who are committed to helping develop innovative and effective approaches to achieving and supporting permanency for older youth. Michelle is passionate about the need for system reform and the essential role that young people can take in leading child welfare to more effective, youth and family-focused strategies. Al was a founding board member of Ampersand Families and is thrilled to now be a part of the staff as the Finance and Operations Director. Prior to joining our staff, he was the Director of Finance & Operations for 19 years at the Greater Minneapolis Crisis Nursery; a shelter for children at risk of abuse and neglect. Mandi comes to us as a third culture kid who spent most of her formative years overseas among a myriad of cultures. She is honored to be joining a team that is so full of diversity and unified in our passion to connect youth to permanency and stability. Mandi has a heart for those who struggle to find a sense of belonging. She is inspired by those who take up space in the world and desires to bring self-empowerment and a sense of dignity and hope to youth who are lacking the confidence to define and live as their truest selves. Stacy is excited about Ampersand’s unique commitment to youth and families. She is blown away by the staff’s passion to ensure permanency and continuously support families through thick and thin. Aubrey’s twin passions are teens and adoption. She loves the energy, crankiness, and self-determination of youth, and enjoys helping them envision, articulate, and adapt to what they believe adulthood is and should be. She believes that adoption is a life-long process that encompasses both joy and grief, and is inspired by the millions of individual ways families come together, define themselves, and create new homes. Perry comes to Ampersand Families with a fresh perspective on waiting teens, adoption, and child welfare. Over the past few years, Perry has had the privilege of working with youth and adolescents primarily in school settings, and he has grown to love working with youth who have emotional, behavioral, and academic needs. Marina joins the Ampersand Team with a background in Youth and Family dynamics. She specializes in the mind-body impact of trauma and brings her passion for building resilience within individuals and communities. She has had the joy of working alongside youth and families in various capacities, including Day Treatment programming and crisis family counseling. Marina is continually inspired by the creativity, playfulness, and inner strength of young people. 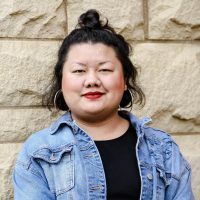 Chee comes to Ampersand with a background working with underserved children and families in the school system and being an advocate for women and children in the Asian American Pacific Islander (AAPI) community who have experienced trauma and domestic violence. She is excited to join the Ampersand team and work with providers, prospective families and teens towards permanency. What really drew her to Ampersand is their commitment to older youths and teens and ensuring that they are included every step of the process. Vanessa holds a Master of Social Work from Augsburg University and is a Licensed Independent Clinical Social Worker. Since entering the field of social work, she has helped individuals experiencing homelessness find and maintain permanent housing, and has provided case management and treatment services to people with mental health diagnoses or experiencing mental health crises. 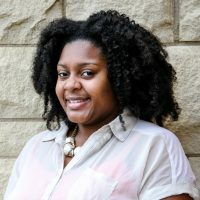 Vanessa is passionate about advocating for individuals and families on both the individual and systems levels, and engages in public policy advocacy and social justice work whenever she can. Cortney has worked in several areas of the human services field ranging from supportive housing to foster care and adoption. In doing so, she learned that youth are her favorite population to engage with. Cortney appreciates the honesty and humor that young people often provide. Renee has a background in education and has worked with many diverse clients at several Twin Cities non-profits. She is thrilled to continue her work with an organization that supports children and families. Christina Romo is excited to join the team at Ampersand, having previously worked at the North American Council on Adoptable Children (NACAC) since 2006. Christina feels very fortunate to have learned from youth who have experienced foster care and adoption about the power of resiliency and the importance of treating youth with dignity and respect, embracing and honoring who they are, reminding them of their value in this world, and truly listening to them—especially when making decisions that impact their lives. Katherine is thrilled to join the Ampersand Team and to work with and support youth and families in their lifelong journey for permanency – though the highest highs and the lowest lows. 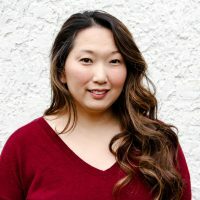 Her favorite parts about older youth and teens is witnessing and supporting each individual’s unique personality, resiliency, and growth during a formative period of their life. She is passionate about working directly with youth and families and believes that regardless of age everyone deserves a family.